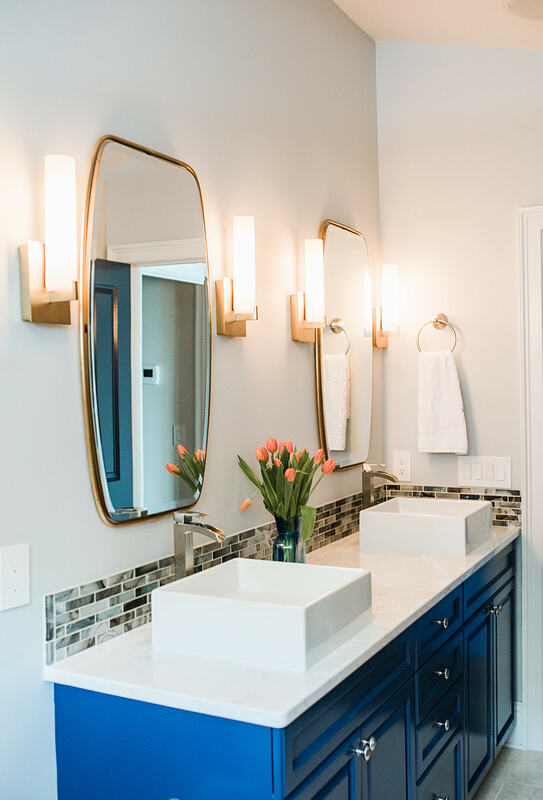 With many beautiful furniture pieces already acquired, this Wrightsville Beach couple called on Big Sky for a helping hand to blend two competing design styles, source stunning lighting fixtures, and layer in the finishes touches. 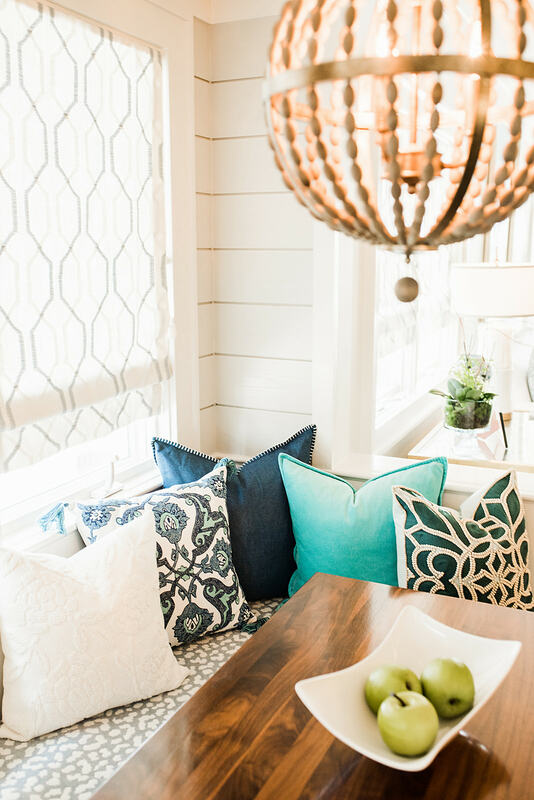 Blending a masculine, contemporary style with a soft feminine and coastal aesthetic, we were able to create a refreshingly edgy take on a comfortable coastal scheme. 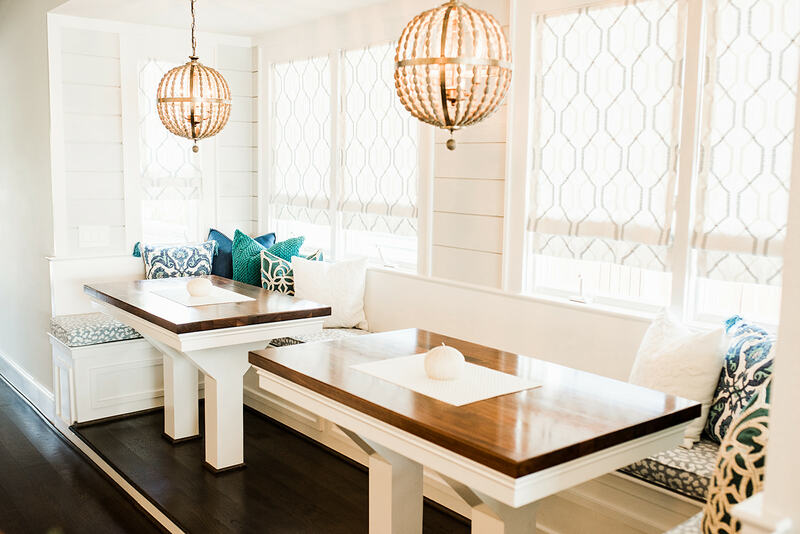 With a view of Harbor Island from the living room, incorporating coastal in the design style was a given. 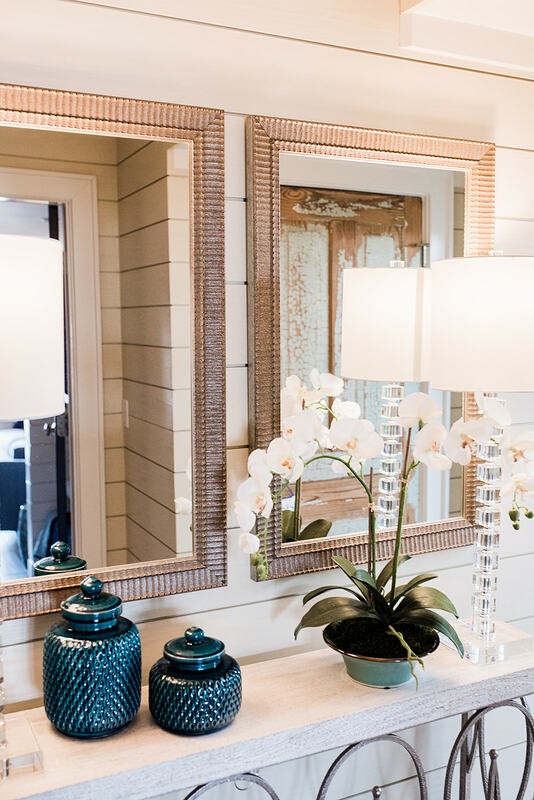 A crisp navy and orange color palette, gold lighting and hardware, and modern furniture styles add a little glamour to the modern beach home. 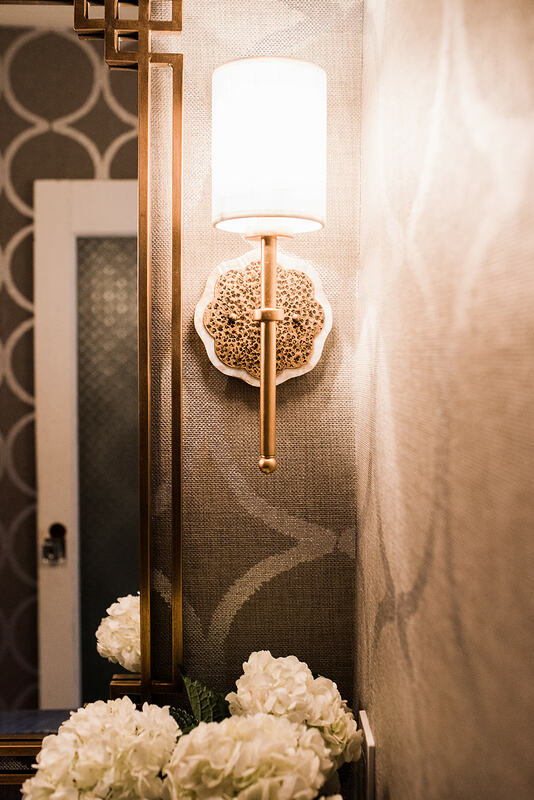 This project was all about the details. 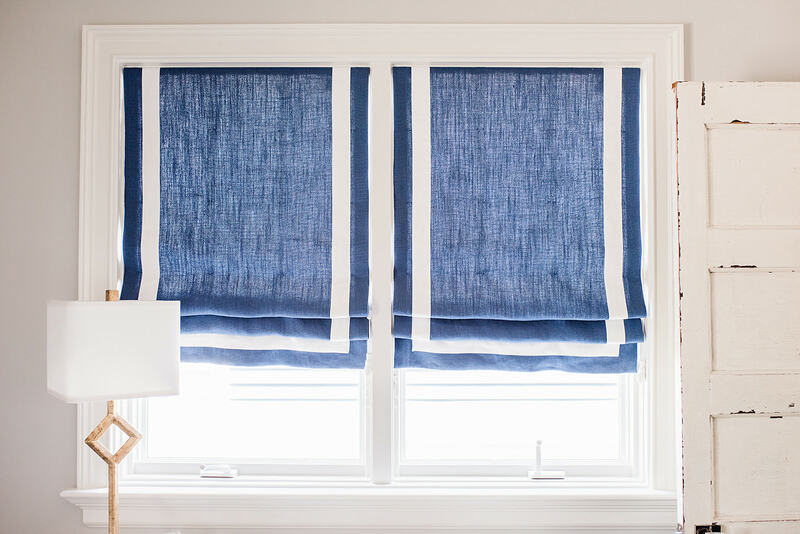 We added custom window treatments throughout to provide a break from the summer heat. 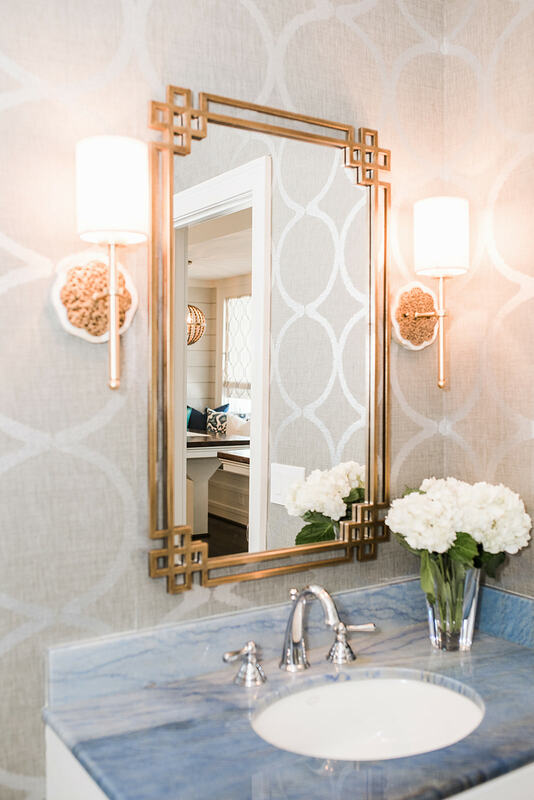 We took in the client’s wishes for an edgy vibe and pushed the clients to be a little adventurous with bold light fixtures and metallic grasscloth wallcovering. 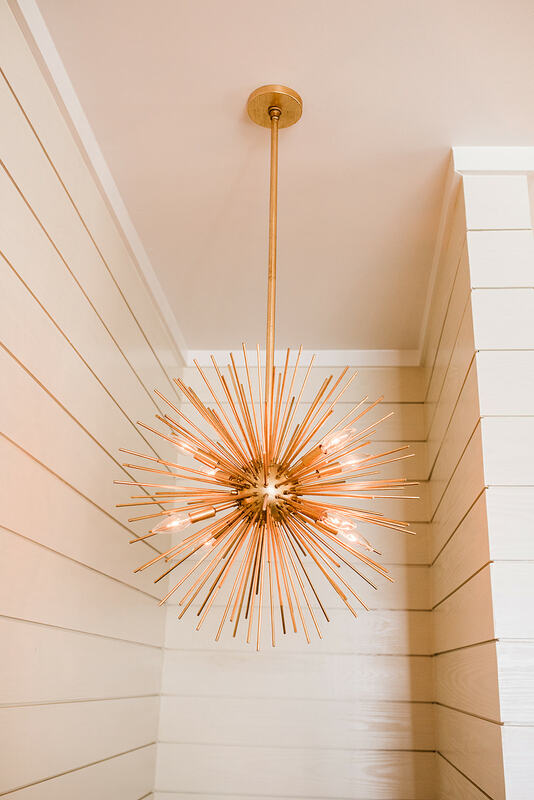 We took in the client’s wishes for an edgy vibe and pushed the clients to be a little adventurous.